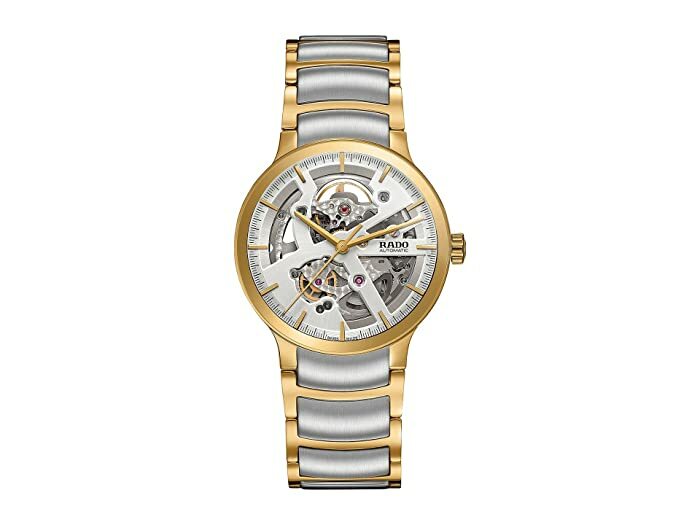 Polish off your finest look when you're wearing the chic style of RADO™. Three-link bracelet made of stainless steel. Deployment clasp closure with dual push button release. Three-hand analog display with automatic movement. Skeleton dial face with baton shaped hour markers and minute track.